2018 Camping & RV Season is Coming! 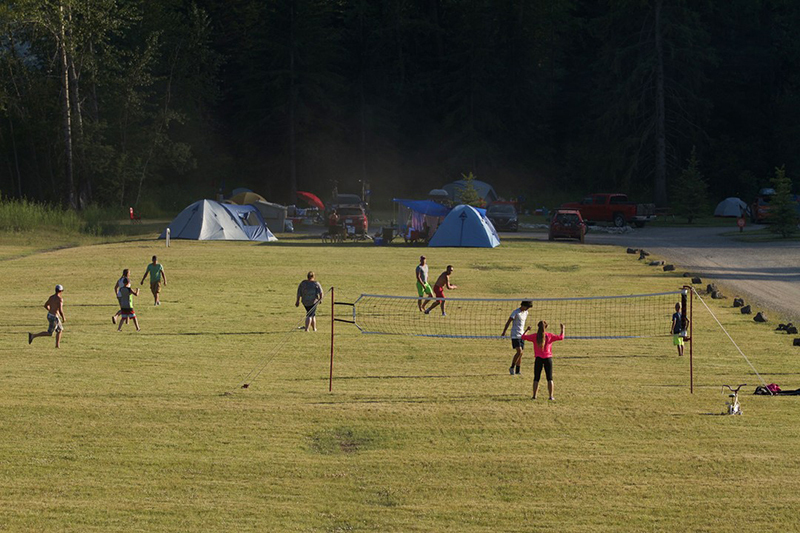 The 2018 camping season at Fernie RV Resort is its 3rd year of operation and its just keeps getting better. 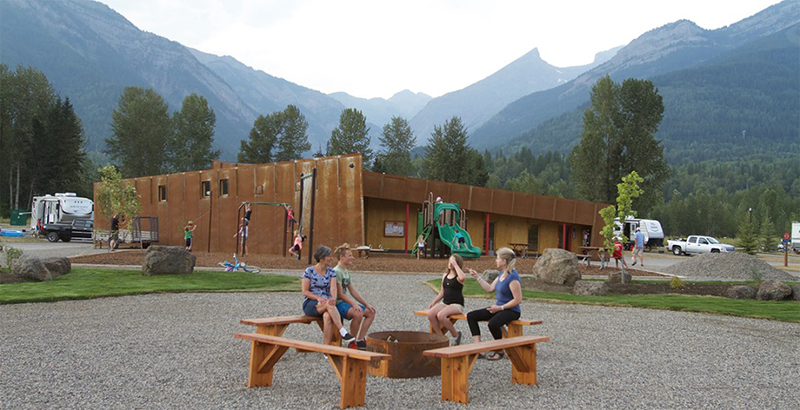 Don’t miss out on your favorite campsite for your next Fernie visit. The time is now to start making your Fernie plans and book. Book on-line here today. Looking back, the 2017 season was wonderful with happy guests who appreciated the great customer service, new facilities, and the charm of our wonderful town. The children’s playground was definitely a highlight and was busy every day, all day long! 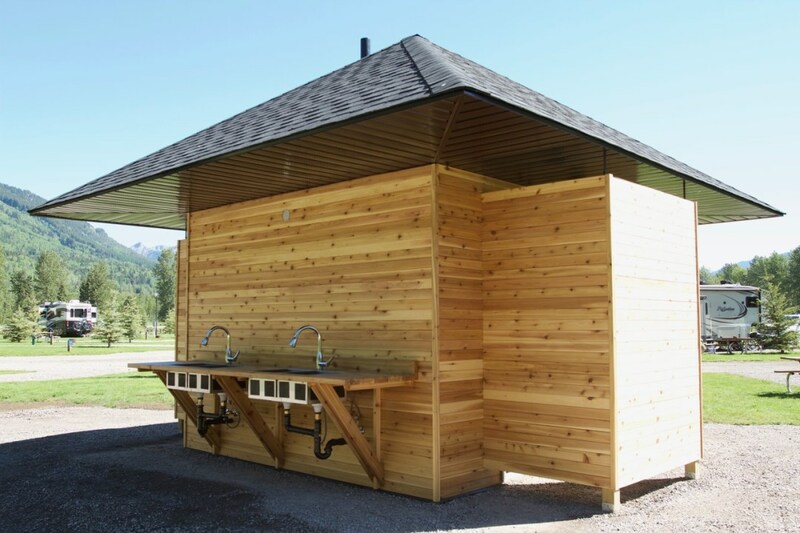 The new tent area washroom facility with dishwashing stations and the bear-proof food storage lockers added a new dimension of convenience and function. Our large green space had developed into a playing field that is ideal for activities like volley ball, soccer and frisbee. Also new for 2017 were the Econo RV sites that were well used by those traveling through and looking for an inexpensive and quick overnight stop. The children’s playground was complemented in early September with the completion of the central gardens. The gardens completed the social centre of the resort with park benches and a communal fire pit. We look forward to seeing you in 2018 and wish you and your family a very happy camping season! Don’t miss out, book on-line here today.